Less than half of public-sector comms professionals say there is high morale in their team or that they have good personal job satisfaction. The proportion who say morale is high, at just 44 per cent, has fallen from 48 per cent last year; a significant drop since in 2016, when it stood at 73 per cent, and the lowest level since the annual survey began in 2013. While 81 per cent claim their team is effective in meeting its core objectives, far fewer feel they have sufficient time to do their jobs. 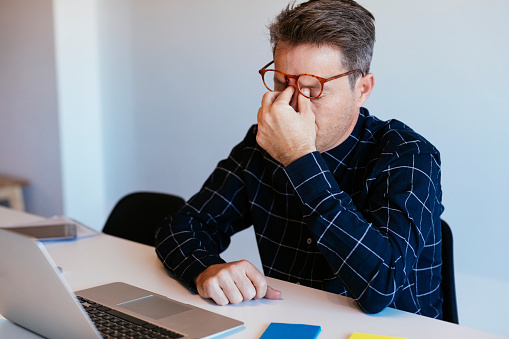 Fewer than one in three (28 per cent) respondents to the survey of almost 100 people, the majority from local council comms teams, think they have enough time to complete their workloads. Reacting to unplanned or urgent work requests, as well as having to complete time-consuming administrative tasks such as data entry and record-keeping, take away almost 50 per cent of their time from their core priorities. The vast majority, 88 per cent, fear that future budget cuts will have an impact on their ability to deliver a high-quality service, according to the survey, which was created in partnership with Panacea Applications and completed between September and December 2018. The results of the poll, released last week, also reveal that just two-thirds of respondents feel they are valued by management. 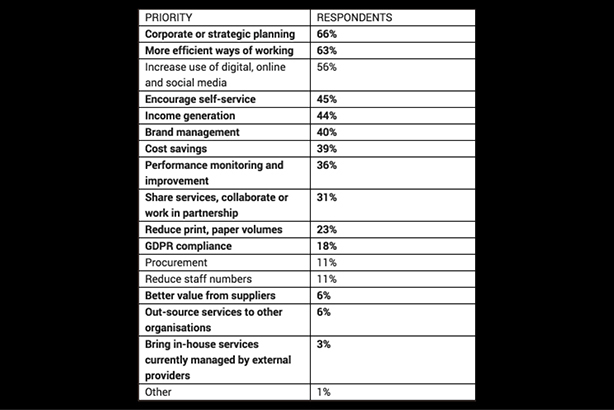 In terms of work priorities over the coming year, strategic planning takes top spot, cited by 66 per cent, closely followed by finding more efficient ways of working, cited by 63 per cent. More than half (56 per cent) single out increasing the use of digital, online and social media as a priority. Simon Jones, chair, LGcomms, told PRWeek: "The LGcomms and Panacea survey highlights what we have known for some time, in that communication teams in the public sector are struggling to meet the demands placed upon them at a time when the sector as a whole is continuing to go through significant change to save money." He added: "The issues are being exacerbated because communications teams are, understandably, under pressure to reduce their own costs. "This shows the importance of teams being much clearer about the value of their our work, the outcomes that they are seeking to achieve and why investment in strategic communications is so important in helping meet those outcomes."